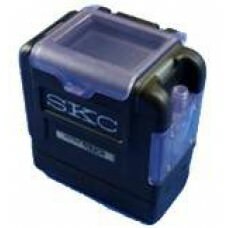 The SKC AirChek Touch brings a fresh approach to air sampling. It is the first personal sample pump to have a colour touch screen display. This provides the user with an intuitive, touch interface to navigate the pump’s various functions. The use of colour draws attention to the various items of information displayed, such as the run/stop key, real time flow rate and alarms. The backlit screen has a protective cover and there is a security locking system to prevent tampering during sampling. The AirChek Touch is also available in basic, dust, vapour/gas, and combined dust and vapour kits. Features Flow System Flow range: 1000 to 5000 ml/min, 5-500 ml/min with low flow adaptor..